In this article, we have addressed some of the basic queries around Composition Scheme under Goods and Services Tax Law. The CBIC has issued a notification increasing the upper limit of annual aggregate turnover (for the previous financial year) to opt into the composition scheme from Rs 1 crore to Rs 1.5 crores. However, the limit remains Rs 75 lakhs for N.E states & Uttarakhand. The notification comes into effect from 1st April 2019. 31st March 2018 is the deadline to file the intimation in Form GST CMP-02 to opt into composition scheme for the FY 2018-19. Also, furnish statement in form ITC-03 within 60 days of commencement of the FY 2018-19 to declare the ITC claim that has to be reversed on inputs/capital goods in stock, in semi-finished or in finished goods. Let’s look at some of the common questions around Composition Scheme that businesses should know. 1. Who can opt for Composition Scheme? Businesses with annual turnover up to Rs 1.0 crore* can opt for composition scheme. Turnover of all businesses with same PAN has to be added up to calculate turnover for the purpose of composition scheme. Only Manufacturers of goods, Dealers, and Restaurants (not serving alcohol) can opt for composition scheme. * The threshold limit for opting into composition scheme is recommended for an increase to Rs. 1.5 crores but yet to be notified. 2. What is the tax rate applicable to a Composition Dealer? As per notification dated 01.01.2018, turnover in case of traders has been defined as ‘ Turnover of taxable supplies of goods’. 3. Is liability to pay taxes under Reverse Charge Mechanism covered under the Composition Scheme? A Composition Dealer has to pay tax under Reverse Charge Mechanism wherever applicable. The rate applicable to the supplies is the rate at which GST has to be paid. This means that rate under composition scheme should not be used for reverse charge purposes. Also, no ITC is available for tax paid under reverse charge for a composition dealer. 4. I am purchasing goods from an unregistered dealer. Do I need to pay tax? Tax at normal rates has to be paid on purchases from an unregistered dealer only for the months of July and August 2017. From September there is no need to pay tax on these purchases. No ITC is available on tax paid under reverse charge. 5. Should I pay IGST interstate purchases attracting reverse charge? IGST should not be paid by a composition dealer. The dealer is required to pay tax under reverse charge, import of service or purchase from an unregistered dealer has to pay only CGST and SGST. 6. How should the Tax amount be calculated? A composition dealer is required to pay tax at a specific rate on total sales. Also, the dealer has to pay tax under reverse charge on specified purchases, purchase form unregistered dealer and import of services. The rate of Tax on transactions under Reverse Charge, purchase from an unregistered dealer and import of services will be at normal rates, i.e. the rates applicable to the supplies. Rates under Composition Scheme are applicable only to sales of a composition dealer. 7. Should a Composition Dealer maintain detailed records? No, a dealer registered under composition scheme is not required to maintain detailed records as required by a normal taxpayer. 8. Can Composition Dealers avail Input Tax Credit? No, a Composition Dealer is not allowed to avail input tax credit of GST on purchases. 9. Can a Composition Dealer issue Tax Invoices? A Composition Dealer has to issue Bill of Supply. They cannot issue a tax invoice. This is because the tax has to be paid by the dealer out of pocket. A Composition Dealer is not allowed to recover the GST from the customers. 10. What are the returns to be filed by a Composition Dealer? The taxable person is required to furnish only one return i.e. GSTR-4 on a quarterly basis and an annual return in FORM GSTR-9A. Also, auto drafted details are not available for a composition dealer for the quarters July – September, and October – December. This means that all sales details have to be manually entered by the Composition Dealer. 11. Can a Composition Dealer collect tax from customers? No, a Composition Dealer is not allowed to collect composition tax from the buyer. 12. Can a dealer involved in interstate supplies opt for Composition Scheme? Composition Scheme is available only for dealers doing intra-state supplies. If a dealer is involved in inter-State supplies, then they have to opt out of the scheme. 13. What are the transition provisions if a business transits from Composition Scheme under old regime to Regular Taxation under GST? Taxpayers registered under composition scheme under VAT will be allowed to take credit of input in stock, or in semi-finished goods or in finished goods held on the day before the day of opting out of composition scheme. 14. What are the conditions for availing input credit on stock lying at the time of transition? Inputs or goods will be used for making taxable supplies. The CENVAT Credit was eligible to be claimed in the previous regime, however, couldn’t claim it being under composition scheme. ITC is eligible for availing under GST regime. The taxpayer has bills of input tax paid on such goods. 15. What is the treatment for input credit availed when transitioning from normal scheme to Composition Scheme? When switching from normal scheme to composition scheme, the taxpayer shall be liable to pay an amount equal to the credit of input tax in respect of inputs held in stock on the day immediately preceding the date of such switchover. The balance of input tax credit after payment of such amount, if any lying in the credit ledger shall lapse. 16. Can I opt for Composition Scheme in one year and opt out in next year? Yes, this is possible. You can opt to switch between the Composition Scheme and the normal scheme based on your turnover. However, you will have to keep in mind that this will affect the way you issue invoices and file your returns. The declaration of change can be submitted on the GST Portal. 17. I have many branches. Will composition scheme apply to each of them separately? 18. Is it true that Composition Dealers can sell a product at a lower price than regular dealers? Yes. Composition dealers cannot charge GST on their sales. So the end consumer pays less money than usual. 19. Can I opt-in for composition scheme anytime during the year? No. Before the beginning of every financial year, a registered taxpayer is required to provide a declaration on the GST Portal. This cannot be done anytime during the year. 20. What will happen if I opt out of composition scheme mid-year? When a dealer opts out of composition scheme all the normal rules are applicable from the day of opting out. Threshold for composition scheme recommended for an increase to Rs 1.5 crores but yet to be notified. 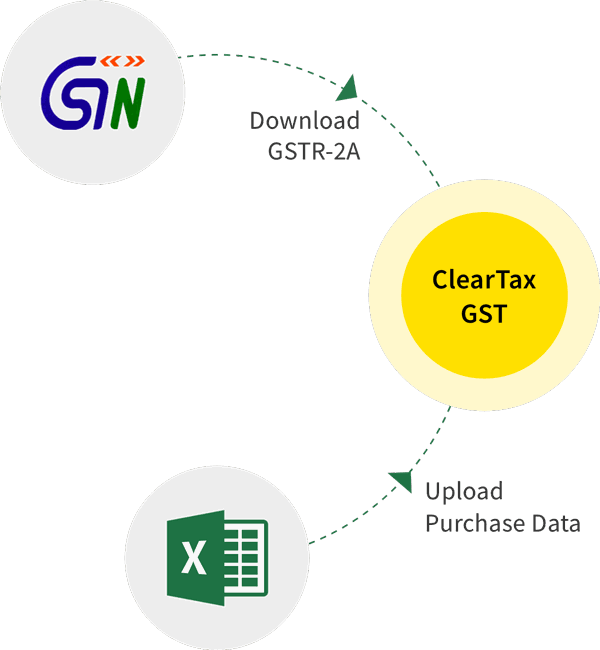 How to file CMP-03 on GST Portal?